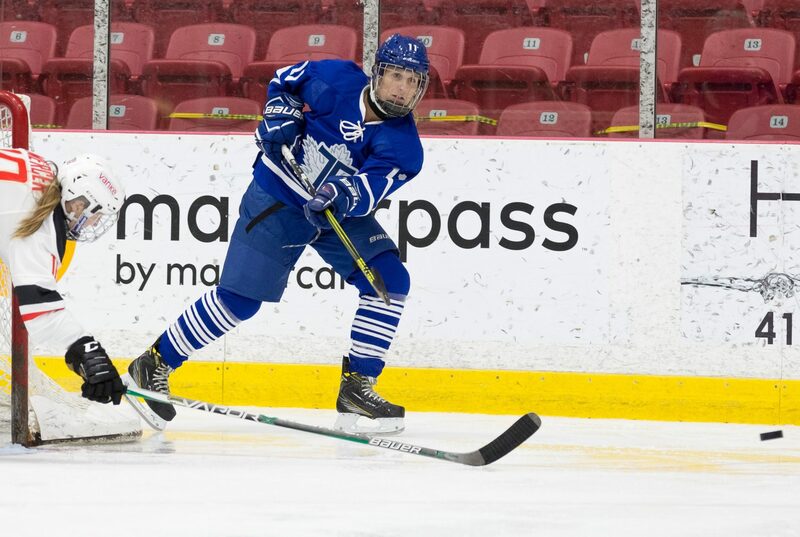 Wilfrid Laurier graduate Jessica Platt, who currently plays as a forward for the Toronto Furies in the Canadian Women’s Hockey League (CWHL), recently came out as transgender. The former Hawk publicly announced her decision to come out through an Instagram post on Jan. 10, 2018. Platt is now the first openly transgender player to ever compete in the CWHL. It’s been a long and interesting journey for the Sarnia native, to say the least. The medical transition for Platt started in 2012 and since then she hasn’t looked back. Although she is now competing at the highest level, Platt never played varsity hockey for the Golden Hawks. “At that time in my life I was still trying to figure everything out. I started my transition when I was in second year,” she explained. After graduating from Laurier in 2014, Platt eventually started working at The Zone Training in Waterloo and that is what helped reignite her passion for hockey. In 2016, Platt declared for the CWHL draft and was selected with the 61st overall pick. It’s hard enough for aspiring athletes to get selected in the CWHL draft, but to get drafted without playing hockey at the collegiate level speaks volumes about the tremendous amount of hard work and dedication that Platt put into getting better at her craft. Even with the growing movement towards trans issues and trans rights over the past few years, going public about your transition is still seen as a big deal – especially in the sports world where you are constantly under the microscope. As difficult as it was for Platt to get drafted in the CWHL, the decision to go public with her transition was that much tougher. When asked if it was harder for athletes to come out, Platt pointed out that everyone has their own story. “It’s hard to say if it’s harder for an athlete [to come out]. Everyone has a different situation in terms of where they’re living and who they’re surrounded by. It’s more different [for athletes] than other people because it’s more public,” she said. Although most of the public and media reaction to Platt’s announcement has been overwhelmingly positive, there are definitely individuals out there who aren’t quite as accepting. Platt was quick to dismiss the idea of having an inherent physical advantage over her competition. “I don’t think I have a physical edge at all. I’ve followed all the policies and guidelines. So if anyone says that I have more testosterone, that’s not true,” she explained. Platt’s courage should be commended and her decision to come out as a transgender woman will only serve to inspire. “I’m hoping that people will have a solid example that they can look at because I know I didn’t have a ton of people to look up to when I was going through my transition. I want people to keep chasing their dreams, I want them to think that they can do anything they want to do,” she said.